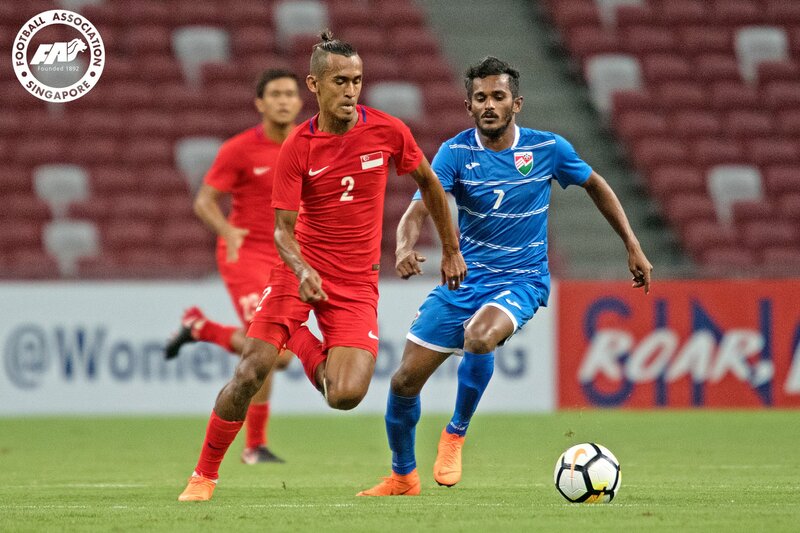 SINGAPORE, 29 AUGUST 2018: Singapore National Team Head Coach Fandi Ahmad has called up a 26-man squad for Singapore’s friendlies against Mauritius and Fiji on 7 and 11 September respectively. The squad includes five uncapped players, among which three – Zulfadhmi Suzliman, Zulqarnaen Suzliman and Jacob Mahler – have been called up at the senior level for the first time. At 18 years old, Mahler is the youngest player in the squad. The squad also includes the nine Singaporean players who are plying their trade in Malaysia and Thailand. The team will come together on 3 September for their first centralised training at Geylang Training Centre. Coach Fandi said: “The players I have selected have done well in their respective leagues and I feel there is an ideal mix of experience and potential in this team. We have been monitoring our overseas-based players to keep track of their development and performance, and we are all aware that the competition for the National Team is high given that the younger players are also eager to impress. Every member of the squad has something unique to bring to the table and I am looking forward to the two upcoming games. The matches – including the matches against Mongolia (12 October) and Cambodia (16 October) – are part of the team’s preparations for 2018 ASEAN Football Federation (AFF) Suzuki Cup, and are Fandi’s first since his appointment as the Head Coach for the Lions’ AFF Suzuki Cup campaign. Tickets are available from fas.org.sg/tickets and onsite on match-days. Fans are urged to buy their tickets early online to avoid the queues on match-day. The ticket prices (inclusive of ticketing fees) are as follows. All matches will kick off at 7.30pm at Bishan Stadium. * Concession tickets are applicable to Students aged 16 and below, and Senior Citizens aged 60 and above.